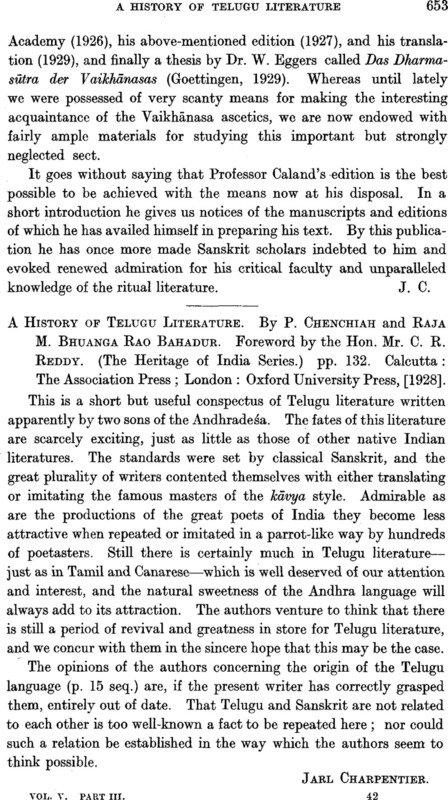 A History of Telugu Literature. By P. Chenchiah and Raja M. Bhuanga Rao Bahadur Foreword by the Hon. Mr. C. R. Reddy. (The Heritage of India Series.) pp. 132. Calcutta, The Association Press; London: Oxford University Press, .